The Orlando Science Center will host its last Science Night Live of the Summer of 2018 on Saturday, August 18. Unmask your inner superhero in the special summer exhibit “Hall of Heroes,” see a guest presentation from the makers of the film “Amazon Adventure,” and more. Science Night Live includes everything you love about Orlando Science Center, plus special programming designed for adults, including: live presentations, stargazing in the observatory (weather permitting), hands-on lab experiments in Dr. Dare’s Lab, giant-screen films in the Dr. Phillips CineDome, interactive exhibit halls, and more. Plus, enjoy food and adult beverages available for purchase. This specially ticketed event (which tends to sell out) runs from 8-11:30pm. 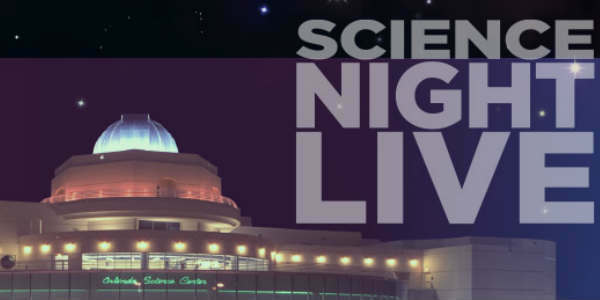 Admission to Science Night Live $15.95. Parking is free in the Science Center parking garage. All attendees must be 21+. Purchase tickets at: osc.org/snl. Posted in Orlando & Central Florida Events, Orlando / Central Florida Tech & Science	- Tagged Orlando attractions, Orlando museums, Orlando Science Center, Science Night Live!